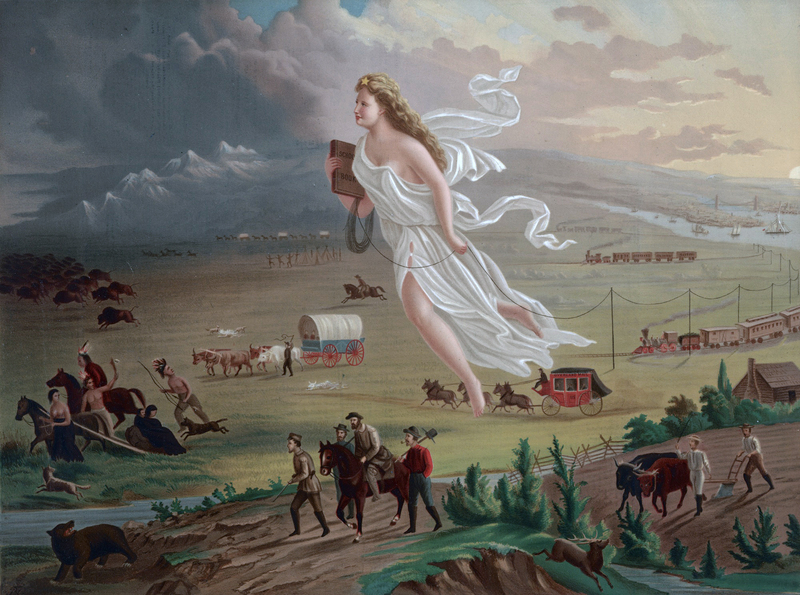 “Go West Young Man,” along with “America’s Manifest Destiny,” was a motto that stirred Americans to dream of traveling to the wild west—an intriguing place away from civilization. Although knowing little to nothing about the “real west” themselves, novelists quickly fueled the flames of the public’s fascination with their stories. New Jersey born James Fenimore Cooper is accredited with being the first major American author to write of the American frontier—not that west of the Mississippi, but the region from the Appalachian Mountains to the Atlantic. In his Leatherstocking Tales, written in the early 1800s, he was the first to speak of Native Americans. The most familiar of these tales, The Last of The Mohicans. The story might be archaic, but the novel set in the upper New York wilderness, telling of the French and Indian War, is a literary classic and still widely read. Although non-fiction, a book written in 2012 tracing two and a half centuries of the area Cooper wrote about, is Scott Weidensaul’s well-researched, The First Frontier. It’s a brilliant depiction of the strife between Native Americans and the colonists over land that each considered theirs. The book is full of factual stories such as that of a Puritan woman wielding a scalping knife and of a Harvard educated half-breed trying to find the world in which he fits. Kidnappers dressed in owl costumes! But in “The Blue Hotel,” Stephen Crane derides dime novels, implying that reading them contributes to a bully’s death. 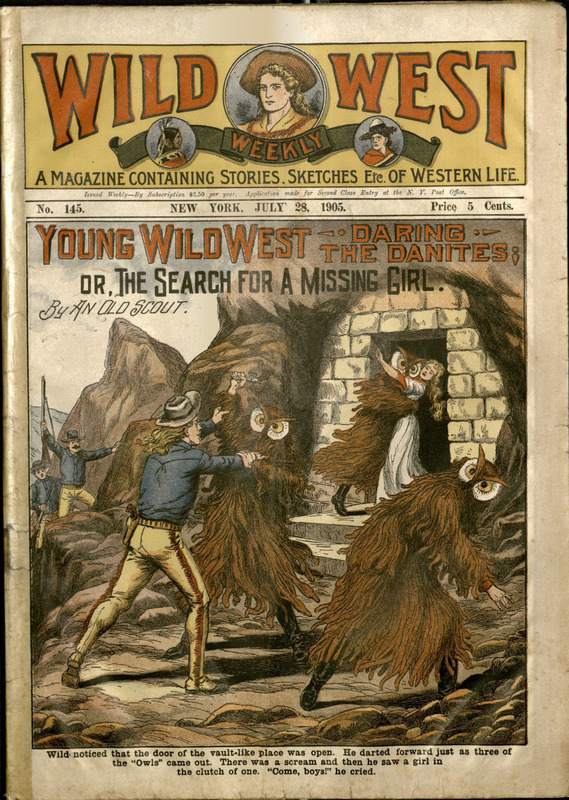 The first “true westerns” were dime novels. These were the forerunner of today’s mass-marketed paperbacks. Currently, dime novels usually refer to shallow and shocking literary works quickly written, but early on, the term represented cheap five and ten-cent weeklies, early pulp magazines, and of course, dime narratives. In the beginning, western pulps and dime novels were written by men without knowledge of their subject. Most had never set foot among the sagebrush or cacti. These early writings lacked character expansion and did little, if any, research, yet they supplied exactly what readers wanted— thrilling adventure, romance, and the message of good always triumphing over bad. The action was purely about black-hat characters, lower than snakes-in-the-grass, being chased and arrested or gunned down by men in white hats. One of the early authors, Edward Zane Carroll Judson- –pen name Ned Buntline— was more familiar with water than the plains. After running away to sea to be a cabin boy, he returned to become a failed journalist. Judson chose the name Buntline from the line on a ship that restrains the middle of a sail when it’s unfurled. Before dime westerns, he wrote adventure and sensational stories for weekly newspapers which netted him an impressive amount for the time of $20,000. Buntline, though a heavy drinker, traveled by train between California and Nebraska, preaching temperance. On one trip, he met William Cody and became captivated by him. He originally planned to use Cody as Wild Bill Hickok’s sidekick in a book he wanted to write, but found Cody more intriguing than Hickok. 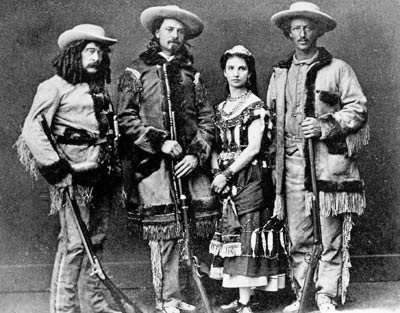 Buntline claims he dubbed Cody, “Buffalo Bill,” when he made him the hero of his serial novel Buffalo Bill, the King of the Border Men. A play starring Cody himself and written by Buntline was said to have served as training for Cody’s Wild West show. Another heavy drinker, capable of putting away two quarts of whiskey in eight hours, was Frederick Schiller Faust, best known as Max Brand. Brand stated alcohol enabled him to write by taking him to a fantasy world. He wrote every day—fourteen pages in two hours. Often writing as many as 12,000 words in a weekend. In thirty years, he penned 300 books. Brand once admitted that his plots were the same—the bad man turns decent, while the good one becomes corrupt. “That way you have conflict,” said Brand. In 1930, he wrote his most famous novel, Destry Rides Again. In later years, he became prosperous by collaborating with MGM as a screenwriter featuring his character Dr. Kildare that he’d originally created for a magazine story and later highlighted in a series of books. Other writers adapted the character for radio in the 1950s and in 1960 for TV and comic books. One of the first authors to research subjects and emphasize characterization was Zane Grey. Even readers not into Western novels are probably familiar with his 1912 book, Riders of the Purple Sage. 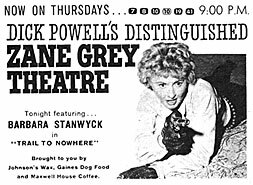 The 1940s saw several ground breaking westerns—Shane, by Jack Schaefer, and A.B. Guthrie’s historical fiction The Way West, which won a Pulitzer in 1950. Another innovative author was Henry Wilson Allen, writing under the name Will Henry. He was noted for his compassionate stories of Native Americans by not portraying them as savages. In his fifty plus westerns, he broadened the genre by telling stories of protagonists other than cowboys and gunslingers. One More River to Cross is the story of a Confederate slave, and The Seven Men at Mimbres Springs features a female Confederate spy. Western pulp writer Frank Gruber estimated out of three hundred million paperbacks sold in 1958, one hundred ten million were westerns. Western reading hit its peak of popularity by the ‘60s. Then book sales slumped due to the influx of TV westerns. Though readership was dropping like doggies on the range, Marilyn Durham’s The Man Who Loved Cat Dancing and Dutch Uncle sold well. Then, Louis L’Amour rode into town with Hondo, his first major success. Between 1958 and 1987, he wrote 74 novels and was the favored western writer despite his predictable plots. Another prodigious author, until his death in 2009, was Elmer Kelton, winner of eight Spur awards, four Western Heritage honors, and named “Best Western Writer of All Time,” by the Western Writers of America. 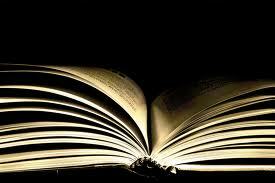 Among his numerous novels are The Good Old Boys and The Time It Never Rained. Even though novels of the Old West may be waning, there are indications the western genre hasn’t yet gone to that round-up in the sky. The Western Writers Association, formed over sixty years ago, has evolved to include not just shoot-‘em-ups but everything from poetry to screenwriting. There are still many talented writers, and although the western will probably never be at the top of its game again, it will not be riding off into the sunset anytime soon. What in particular about the Old West intrigues you? Please leave a reply below. 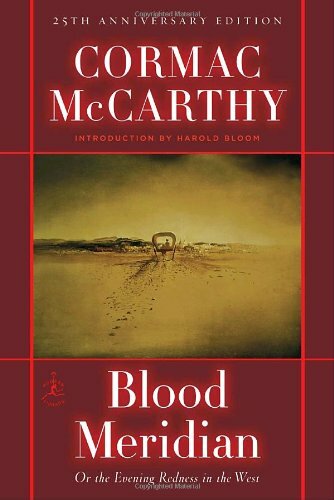 This entry was posted in The Story of Books and tagged "Dime novels", Buffalo Bill and dime novels, Cormac McCarty and the literary Western, Frontier novels, Harold Bloom on Blood Meridian, James Fenimore Cooper and The Leatherstocking Tales, Larry McMurtry and the American West, Louis L'Amour, Manifest Destiny, Mythology of the American West, Ned Buntline, Ned Buntline and Buffalo Bill Cody, Spur Award, Western Heritage Award, Western Writers of America, Zane Grey. Bookmark the permalink. I’ve been smitten by the Old West ever since I was a child hitched to the TV watching “The Cisco Kid,” “Roy Rogers,” and more. I hope I have a more sophisticated view of that region and time period now, but I still find the elemental conflicts and sweeping landscape fascinating, even as I acknowledge the terrible things Americans did as they grasped their so-called Manifest Destiny. Thanks for this lovely survey. Can’t believe how prolific some of these writers were. Would love to know more about the “Code of the West” (or cowboy ethics). Though the place was “lawless,” there was an unwritten, socially-agreed-upon set of rules that everyone followed – a bit like the chivalry of medieval knights. Took a film class in college. Professor loved Westerns and spent hours describing rules of the genre: hero had to be single, was not allowed to shoot his enemy in the back, etc. Am sure those rules are evident in at least some of these books. Your essay makes me want to read them! Thanks, Chris and Eve, for your comments. In the Old West movies there was often a girl, but the hero always left after the bad guy (s) were taken care of, but the more modern stories now have a lasting romance and the good guy doesn’t always win in the end.